Located on Powell Street in East Vancouver’s port district, Odd Society is dedicated to combining Old World distilling traditions with New World ingredients and ingenuity to create a family of spirits including whiskey, vodka and gin. Founder and Distiller Gordon Glanz holds an MSc in brewing and distilling from Heriot Watt University in Edinburgh, Scotland where he experimented with distilling whiskey using raw grains and commercial enzymes before studying under the masters at Springbank distillery in Campbeltown. Now back in his home town, Gordon is applying his penchant for experimentation and knowledge of tradition within the Odd Society, which he operates alongside his wife, Miriam Karp. For the makers and doers, the dreamers and inventors. For the artists and artisans, the hardworking and the inspired. This spirit is for the odd ones. It’s for the proud and the quirky, the charming and misunderstood. Made from 100% malted barley grown in Prince George and malted in Armstrong, East Van Vodka is distilled in our small batch, European-made, copper pot stills before being lightly filtered and proudly blended with purified Vancouver water. 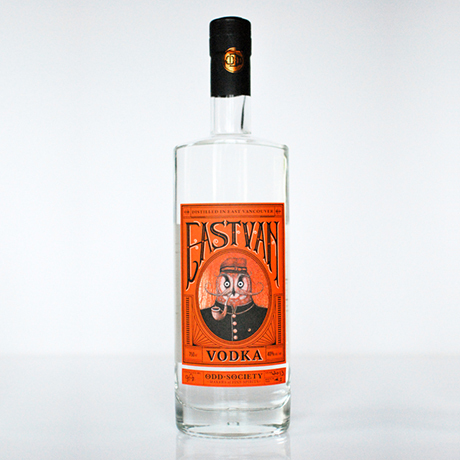 Unlike most vodkas, East Van Vodka is not a completely neutral spirit. It is lightly fragrant, sweet smelling and incredibly smooth. Sip it straight if you want to. Consider it a single malt vodka. Spirits like Mongrel were called white dog, white lightning or just plain ol’ moonshine during prohibition. We could call it whisky if it spent three years in a barrel, but Mongrel goes straight from still to bottle, which is why it’s missing that traditional whisky brown colour. Mongrel is naked, raw and pure. Mongrel is from hardy stock. It’s made from 100% rye grown in Dawson Creek, British Columbia. Perfectly suited for Canada’s harsh winters, rye is tough to distill, but taming it is worth the effort. 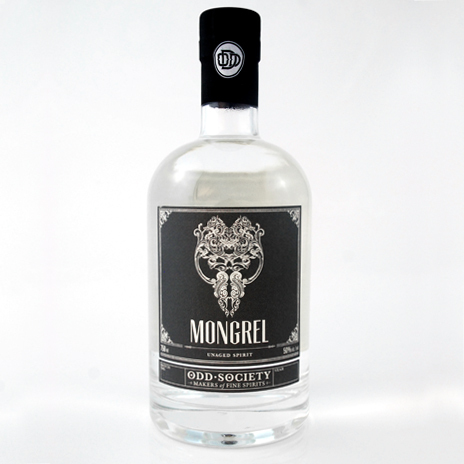 While Mongrel may seem like a savage beast at 100 proof, it’s a loyal and true companion. It’ll still howl at the moon, but it won’t maul any neighbourhood pets. Crafted from the grain up, this complex introvert is made from our 100% BC-grown barley spirit infused with west coast and international botanicals. Wallflower is distilled in small batches in a specially designed copper pot still that combines two great gin-making traditions – maceration and vapour extraction. The result is a craft spirit that is rich and aromatic, yet light and refreshing. Our crème de cassis is based on the secret recipe of our dear friend and Odd Society fellow, master Chef Hervé Martin. Once the personal chef to the Late King Leopold III of Belgium and a chef in two Michelin 3 star restaurants in France and Switzerland, Hervé has criss-crossed the globe setting up award-winning restaurants where he treated his most loyal guests to gifts of his homemade crème de cassis. After years of jetsetting, Hervé found love and set down roots in Vancouver where he opened The French Table. 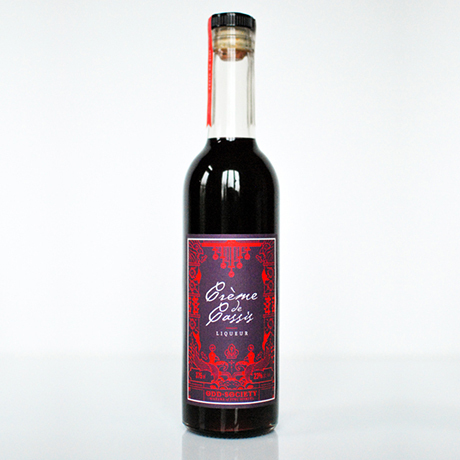 The Odd Society is honoured to partner with Hervé to produce this French classic made with the finest BC-grown blackcurrants. The best of Europe and the best of BC in a bottle. Wallflower Oaken Gin shares similar properties with the original Wallflower Gin with its base of 100% BC-grown barley distilled with botanicals familiar and exotic. But while their nature may be the same, the nurturing they receive is what separates and defines them. Once distilled, this gin is aged for several months in oaken whisky barrels to impart it with the smooth smoky flavours of its confines. These qualities intermingle with the complex Wallflower botanicals to create a wholly unique and unmistakable personality. Based on an old Italian sweet vermouth recipe found in an antique notebook, this reimagination combines 25 botanicals and ‑fine BC wine fortified with our malted barley spirit. Our Bittersweet Vermouth is unique, yet timeless. Its rich and intense flavours will add a subtle complexity to your favourite cocktails or stand alone as a strong apéritif. Odd Society Spirits is proud to offer you the opportunity to own your very own private 30 litre cask of Canadian whisky made from 100% BC malted barley or 100% BC grown rye. Your whisky of choice will age at the Odd Society Distillery for three years and will then be bottled for you to enjoy. During this time, you can follow the aging process with periodic tasting events.